San Antonio Top Limo is a luxurious limousine service located in San Antonio, Texas. Our fleet also serves areas around San Antonio such as Boerne, Stone Oaks, Helotes, and Leon Valley. If you ever need an affordable, luxurious limo experience, give San Antonio Top Limo a call. We offer stretch limos, Hummer limos, SUV limos, and luxury sedans. With our awesome fleet in combination with our amazing drivers, you will nothing but the best experience in our luxurious vehicles. ​There are so many different occasions where you could order a limo to your service, and San Antonio Top Limo has all of these needs covered. With our amazing cars and outstanding prices, you can arrive to any event in style. Our professional chauffeurs are ready to pick you on time and make your night unforgettable. With events such as parties, corporate meetings, weddings, or any other special event, you can be sure that San Antonio Top Limo can get you there in style and comfort. If you want a VIP treatment to your next event, let San Antonio Top Limo be the ones to take you there. With many options from our awesome fleet of vehicles, we have a limo ready for any of your special occasions. Just give us a call! If you want to arrive in a tough looking luxury hummer, you know who to call. These limos are bound to bring attention to whoever rides inside. With events like prom and graduation parties, you can be the one who arrives like a king or queen. With our 14 passenger Hummer limo, you and your group of friends can take the ride of your life in one of the coolest limos out there. But if you’ve got some extra friends who need a ride, we’ve got you covered with our giant, Texas-sized 22 passenger Hummer Limo. With all that extra room, you can have a party before you even arrive to the main event. With our sleek, jet black paint job on top of the Hummer, you can roll up to some giant stares from the others who just got there. With our guaranteed top of the line experience, we believe that any first time customer will become a lifetime one. Whenever you step foot into our clean, sleek limos, it will be just like riding in those luxury cars that cost hundreds of thousands. You can feel just like the celebrities when you ride in our limos. And it’s not all about outward appearance either. Each and every one of our limousines is cleaned with an outside wash, carpet cleaning, and window cleaning. When you enter inside, you will be greeted by our fabulous chauffeur and the squeaky clean seats and floors. With such an awesome outside appearance, the inside should be nothing less. With our centered location in San Antonio, there are many more options than just this city. If you live in Boerne and want a great limo experience at an affordable price, give us a call. Wanting to arrive at a Spurs game in style? Or maybe you want to take a great ride through the Texas hill country and have a wine tasting tour. With our extensive seating options, you can invite tons of your friends for an amazing experience. Even if you live in Boerne, San Antonio Top Limo can get you to where you need to go on time. If you live in Stone Oak and want to treat yourself to a grand arriving at a special event, look no further than San Antonio Top Limo. 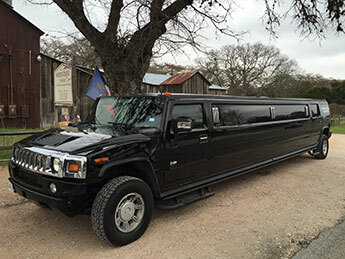 We offer unrivaled service in the Stone Oak area, and with it being on the edge of the hill country, you could see yourself riding through the amazing views in an amazing limousine. Our chauffeurs are ready to pick you up for the ride of your life. With you being the star of the ride, expect nothing less than the best from our chauffeurs in terms of greeting, timed arrival, and driving. Our professional drivers are ready to pick you up on time so that you can arrive just when you need to. Our chauffeurs will greet you at the spot of your choosing, handle any luggage you may have, and take care of all your needs. Our fleet consists of some amazing vehicles. We offer a wide variety of seating options for any of your needs. You can find pictures and additional info about our limos on our fleet page. With so many options for so many locations, and the best in San Antonio limo service, don’t be afraid to give us a call. We can hook you up with a vehicle equipped for the event that you’re going to, and we can get you there on time and in style.